End tippers are responsible for the safe transportation of various resources and material within the construction industry – and luckily for WA residents, Custom Quip Engineering has the largest range of end tippers available in Western Australia. Read on for information about the function and purpose of end tippers, and how to find the perfect end tipper for you, whether you choose to hire or buy. What Is An End Tipper? End tippers are predominantly utilised for carrying a wide range of products (depending on the requirements or size of a job), from bulk commodity to scrap metal. Characterised by end discharge capabilities, end tippers are available in several construction choices that include grain tippers (in steel and aluminium) and dirt tippers that offer slim tare weights and durable exteriors. All of CQE’s tippers and trailers are expertly-designed and manufactured using high-quality materials and meeting strict quality assurance standards. Features of Custom Quip Engineering tipper trailers include steel wheels, a 3mm full hardox body, 9’1’’ spread spring suspension, a Westinghouse braking system with load sensing valves and yard release button, 10/285 drum brake axles and many more features and options. 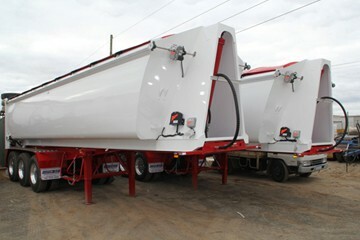 All CQE trailers are Australian-made in Welshpool. CQE Trailer Rentals has an extensive fleet of both grain tippers and tipper trailers for short term hire within Western Australia. CQE offer their customers reliable and well maintained equipment at an extremely competitive and sustainable rate. Grain End Tippers, skeletal trailers, flat tops, Primer Movers and more are available for viewing and hire in CQE’s Welshpool showyard. 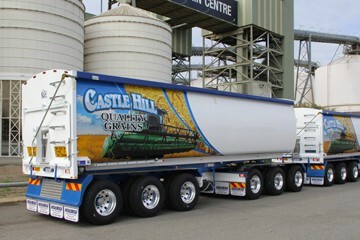 Grain tippers are utilised for the transport of grain, wheat, canola or similar bulk agricultural products. 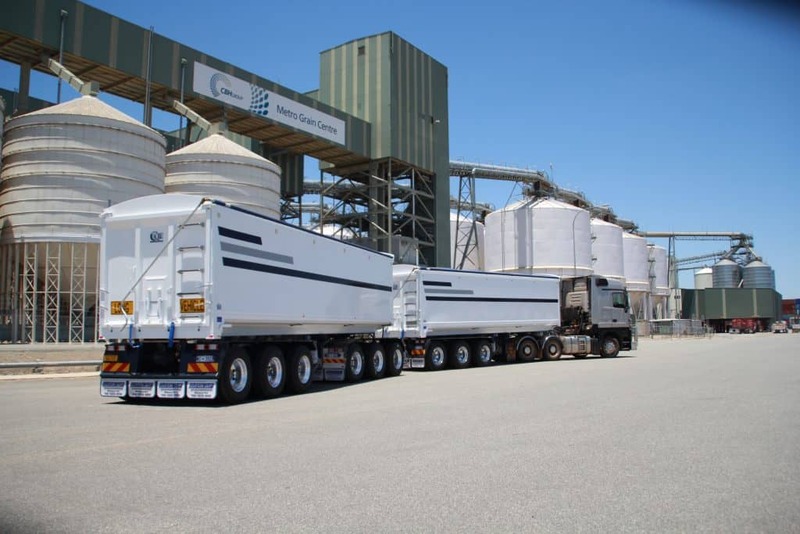 There are two main variteties of grain trailers available at CQE – depending on the kind of material you need to transport. Steel grain tippers are affordable, strong, longlasting and are an affordable option for most businesses. On the other hand, many newer model grain tippers are made with aluminium instead of steel. With a more lightweight material, drivers can rely on these tippers for a low tare and a high carrying capacity. Custom Quip Engineering’s tipper trailers are custom-built and service a variety of transportation requirements; including grain tippers in both steel and aluminium, and dirt tippers built to withstand harsh conditions in the North – while still maintaining slim tare weights. You can trust that any Custom Quip trailer meets industry standards and strict Australian quality assurance checks. Contact Custom Quip Engineering on (08) 9258 9688 or visit 106 Dowd Street Welshpool – open Monday to Friday 8am to 5pm for a viewing of the largest range of end tippers available in Western Australia. All products are available to rent before purchase with CQE’s client-friendly Hire-Buy policy, wherin customers can rent equipment for a predetermined amount of time, and have the option to buy-out the equipment if it is to their satisfaction.